Microsoft has introduced a new programming language for Office. Sure, they say they will continue to support VBA for the next several releases, but there are already some new features that can only be automated with VSTO. 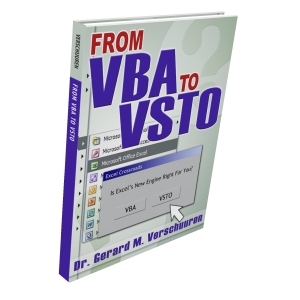 This e-book is designed for the person who already programs Excel VBA and wants to learn about VSTO. This is the e-book version. Buy now and download immediately. Complete details and screen shots are here.